NTS, proud supporter of United States Armed Forces and its allies, hosted a group of students and staff from the Aerospace Studies Program (ASP) at our Orlando, FL facility. 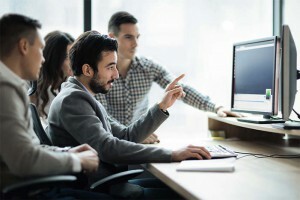 The ASP is a year-long post-graduate technical course offered to Royal Canadian Air Force (RCAF) members at the Canadian Forces School of Aerospace Studies (CFSAS). The ASP prepares selected RCAF personnel for positions requiring deep knowledge of operational requirements as they apply to the acquisition, analysis, and testing and evaluation of aerospace systems. An important aspect of the ASP is visiting aerospace-related military and industrial facilities in North America and Europe. These visits broaden students’ appreciation of the aerospace industry and its capabilities and acquaint them with the realities of defining, developing, and procuring aerospace systems. 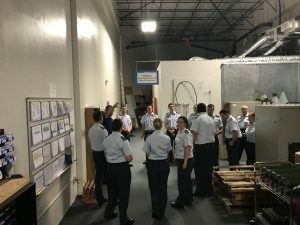 During their visit to NTS Orlando, ASP members were briefed on the history and testing capabilities of NTS and introduced to the aerospace product-development life cycle for both military and civilian requirements. Their visit included an at-length discussion about testing standards and procedures, including those outlined in MIL-STD-810G and RTCA/DO-160G. Tours of both NTS Orlando facilities reinforced this discussion by providing an immersive firsthand look into live testing environments. Students participate in a morning GEMBA walk. Over the past 50 years, NTS has established itself as an industry leader in aerospace testing and continues to develop and foster educational opportunities to help develop the next generation of aerospace engineers. These interactive experiences exemplify NTS’s commitment to ensuring the stability and growth of talent and knowledge within the industry. 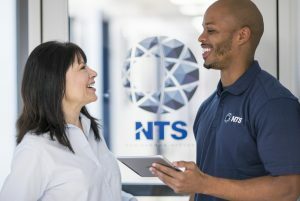 With several employees serving as active members of industry boards and advisory councils, NTS continues to help drive and shape test industry standards both today and into the future.